Nearly all of us have limited financial resources so we have to make tough choices about how to spend our money. A new roof before the old one starts leaking, or a dishwasher that actually gets the dishes clean? Pay off credit cards, or braces for a child? New furniture or a trip to the Canadian Rockies? In thinking through these sorts of dilemmas, people often conclude that it’s wise to forego fleeting experiences in favor of long-lasting material goods. The furniture will be there for years, the thinking goes, but all you’ll have from your trip to the Rockies is a bunch of photos and (hopefully) a few pleasant memories. We quickly adapt to our material possessions and soon we hardly notice that the new furniture is any different from the old. But paradoxically perhaps, our supposedly fleeting experiences endure. There is another benefit to experiential consumption, one likely to be of special interest to anyone drawn to grateful living: Experiential purchases tend to elicit deeper feelings of gratitude than material possessions. Make no mistake, people enjoy their material purchases—they’re happy with them, get excited by them, even cherish them. But it’s rare for people to say that they’re grateful for them. Perhaps because most material goods are mass-produced, it can be easy to think that one is entitled to one’s material purchases. If you’ve worked hard for your money, you feel entitled to have what your money can buy. Of course, people can feel entitled to a day at the museum, a dinner at a nice restaurant, or a getaway vacation. But a spectacular sunset, the feeling of holding your daughter’s hand as she snorkels her way around a coral reef for the first time, or the transporting sounds of live music tend to be experienced as one-of-a-kind events that can’t be taken for granted. So when people are asked, once again, to think about a significant material or experiential purchase they’ve made in the past few years and then rate how grateful there are for it, experiences come out ahead. And if you examine product review websites you’ll find more expressions of gratitude on experiential sites like TripAdvisor and Yelp than on material sites like CNet or Amazon. Gratitude makes it easier for people to get in touch with their “better” selves and it makes them more altruistic and generous to others. The benefits that come with these feelings of gratitude, furthermore, are not limited to the experiencer. Gratitude makes it easier for people to get in touch with their “better” selves and it makes them more altruistic and generous to others. In a pair of especially noteworthy experiments, volunteers were asked to reflect on either a significant material or experiential purchase they had made in the past 5 years. They then participated in a standard laboratory game designed to measure the strength of selfish and altruistic impulses. Known as the “Dictator Game,” the participant is given $10 and told that her only job is to decide how much to keep for herself and how much to give to another anonymous participant she will never meet. Those participants who had earlier thought about a significant experiential purchase gave 55% more money to the other person than those who had thought about a significant material purchase. Getting in touch with our most significant experiences gets in touch with our better selves and makes it easier to give to others. If experiences make people happier, prompt more feelings of gratitude, and make people more altruistic, how can we cultivate gratitude in our increasingly materialistic, consumerist world? One way is to make sure we create and maintain the infrastructure that makes gratifying experiences easier to pursue—bike paths and hiking trails, and city, regional, state, and national parks, and clean, safe beaches. More people will take advantage of this experiential infrastructure, furthermore, if the cost of doing so is low—if entrance fees are kept at a minimum. Venture out to these trails, paths, and parks and you’ll see all sorts of happy, grateful people in touch with their best selves. 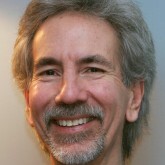 Thomas Gilovich is the Irene Blecker Rosenfeld Professor of Psychology at Cornell University and co-director of the Cornell Center for Behavioral Economics and Decision Research. Dr. Gilovich specializes in the study of everyday judgment and reasoning. This research interest has led him to study how people come to have the types of regrets that they do, the impact of gratitude on behavior, and how people’s egocentrism makes it hard for them to accurately assess how they are seen by others. In addition to his articles in scientific journals and other books, Dr. Gilovich has written Social Psychology (W.W. Norton, with Dacher Keltner and Richard Nisbett), and the forthcoming The Wisest One in the Room (The Free Press, with Lee Ross). Dr. Gilovich is a member of the American Academy of Arts and Sciences and a Fellow of the American Psychological Association, the Association for Psychological Science, the Society of Experimental Social Psychology, and the Society for Personality and Social Psychology. As a talented major conservatory cello student in the early 70’s in NYC, I rented a room from the elderly widow of a former Columbia University Professor. ‘Beah’ (known affectionately to her friends/family) offered to help me through school, which made it directly possible for me to obtain my first professional orchestra position. But the experience of knowing this remarkable woman went much deeper. I cared for her, and she cared for ‘this stranger’ as if I were a son or grandchild in her own family, and she did it without so much as blinking! The experience of just knowing a special person like Beah, has had a far ranging effect on me throughout my life, even after this amazing lady has passed away. Just the thought of her kindness, humanity, vitality, warmth, and unconditional generosity is still a calm and soothing presence to me to this day, even in the most trying times. I always feel blessed, and am grateful for having known her. That ‘experience’ is one that has far exceeded any material benefit I’ve ever received.